The only one real submarine in Tenerife. 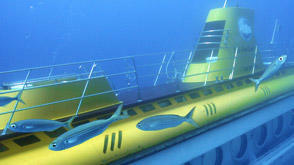 The yellow high tech 30 m (100ft) long submarine will take you for a 1 hour journey under the clear waters of Atlantic Ocean. 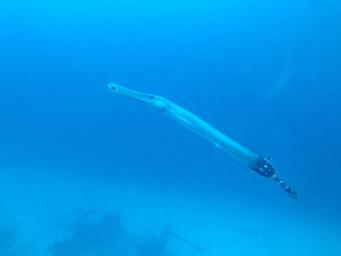 Admire eye to eye magic life under the clear and full of life waters of the ocean. The actual dive will take approx. one hour, which includes boarding and disembarking the submarine. 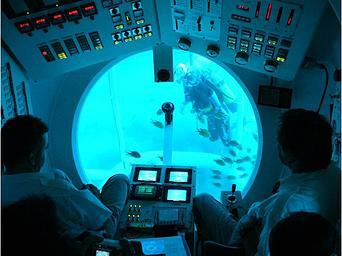 Each dive has tour guide onboard who will give a comprehensive explanation about the dive and submarine. Do not forget your cameras to record this amazing event. Onboard the submarine you will be allocated your personal seat, right in front of our large viewing ports (80cm/32”), ensuring total viewing pleasure to the outside underwater world. Each view port has its own TV monitor giving you alternative viewing angles, along with a digital display panel giving continuous information about the submarine. Underwater Tour – Submarine Safari starts from Marina de San Miguel every day except of Saturday at 10:00 AM, 11:00 AM, 12:00 AM and 2:00 PM (you will be taken by Bus nearby your hotel 1-1,5 h before the dive (depnd on the Pick Up point) and after the dive you’ll be taken back to your hotel by bus. The submarine stuff speak English and Spanich and a few other languages. In order to make your booking of SUBMARINE SAFARI Underwater Trips, Tenerife easy and comfortable Tenerife Host use the most advanced and user friendly booking platform TripsPoint.com where you can easily check last actual prices, the tour availability, required booking deposit and book this tour. To get more information of SUBMARINE SAFARI Underwater Trips, Tenerife and do booking, please, click the button ‘Book Now’. You will be taken to the tour page at TripsPoint.com where you can easily book the tour. Once the booking of SUBMARINE SAFARI Underwater Trips, Tenerife made at TripsPoint you will get your tour Voucher / booking confirmation with all details, including exact pick-up point, pick-up time, pick-up point map. 32,00€ – per child 2-14 y. 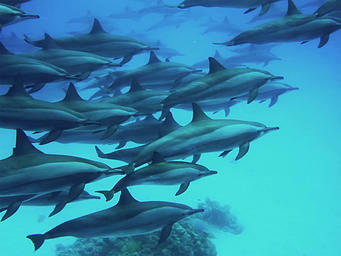 The price include bus transfer from the South Tenerife to the submarine and back, 1 hour underwater trip. * If Pick Up from the North of Tenerife (Puerto de la Cruz – Santa Cruz), then +10,00 Eur per person. Usually in 1-15 minutes walk from your hotel. Free bus service when you book your dive from Playa de las Americas, Los Cristianos, Puerto de la Cruz and Los Gigantes directly to the submarine.